Dan Kisauzi is a graduate of Veterinary Medicine and holds an Advanced Diploma in Animal Nutritional Physiology as well as a PhD in Animal Physiology. His career spans 38 years – the first fifteen years of which were university teaching and research. During this time he was active at the international level in the development of veterinary education curricula. He was a founder member of the World Association of Veterinary Educators in which he was the Vice President for Africa. He has sat on the Education Committees of the World Veterinary Association and the Commonwealth Veterinary Association. He has been a member of the Expert Consultation on veterinary education of the FAO. 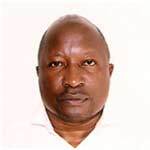 When he left university teaching and research he joined Uganda’s National Agricultural Research Organization in Uganda where he worked as the head of the planning, monitoring and evaluation unit for seven years before setting up his own consultancy firm under which he has undertaken consultancies in the areas of institutional development, agricultural innovation systems development and monitoring and evaluation for a wide range of rural development projects. He is currently a Technical Advisor at AFAAS.